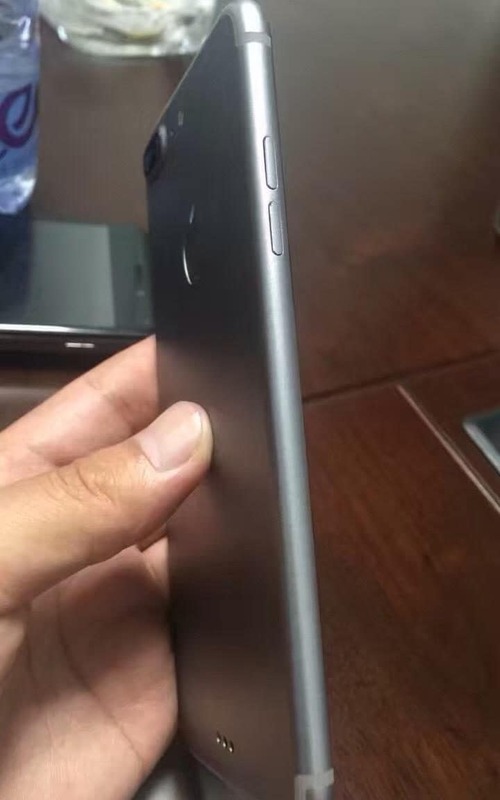 As we approach the launch of new iPhone 7, the rumors and the leaks photos are hiting the internet on high speed. 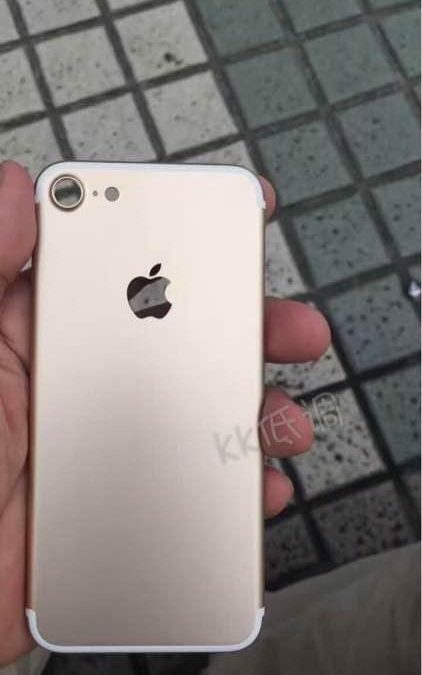 In the recent leaks about the device, a new image has hit the internet, purportedly of the iPhone 7, have emerged on Chinese social media, showing a redesigned camera and slightly different design. 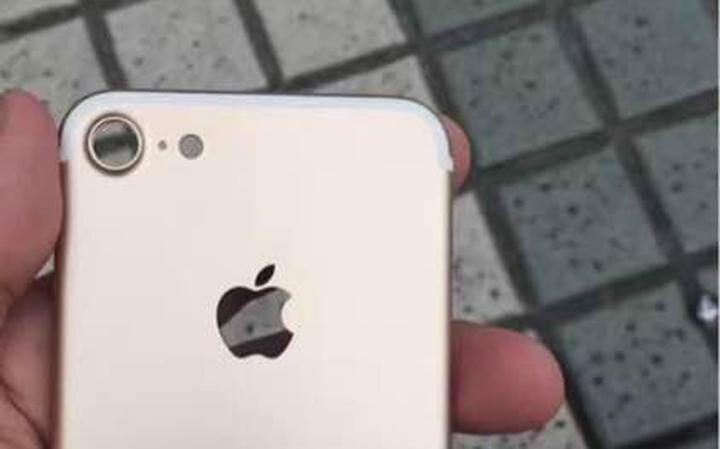 For all those who are expecting a big change in the iPhone 7, this might disappoint them. The phone was photographed in China and posted to the Weibo social network, after images were obtained by Dutch blog TechTastic. They show the rear of the new phone in a rose gold hue, with a much-larger camera lens than the current iPhone and antenna bands covering the edge of the phone (it is the similar design MacRumors has report sometimes back). The design of the device looks totally different from the current iPhones. While the authentication of the image is still under question mark, image shows some small changes on the device like change in the camera from the current iPhone. Other images from the French website NWE, claiming to show the bigger “iPhone 7 Plus” model, appeared to reveal a “smart connector” (which was reported on the earlier leaks about the device) that could be used to charge the iPhone wirelessly (this might be our assumptions as well) and be used for attachments such as keyboards (as the similar thing is found on the iPads). However, as we always says these leaks photo might be a fake one as the photos is missing the iPhone’s mute switch disappearing, by which we can assume that these photo might not be the real one. Apple may launch the new device, this spring with iOS 10 (expected in the first week of September 2016), as per the many experts nothing much is expected to change in the device when compared to the its earlier version iPhone 6S, although it is expected to controversially remove the headphone jack as one of the biggest change on the new iPhone 7. If we believe on the images and analyze the design of the upcoming flagship from Apple, it appears to confirm changes to the iPhone’s camera housing that could prove to be a significant upgrade to picture quality. The smaller iPhone (iPhone 7) has a larger round lens that could allow more light in, while leaks of the “Plus” model suggests it could have two lenses, which would allow an optical zoom-style feature. We believe on the camera change and the removal of the headphone jack, because from the long time these are the things which are being reported, while the authentication of the wireless changing is still a debate. Removal of 16 GB variant from the device line up has been confirmed in one of the report of WSJ. Report also suggests that the major design change is expected from the next year iPhone 8 (2017), there will be no iPhone 7s next year and will jump to iPhone 8 as per the reports. We hope that Apple will brings some cool features on the new device (iPhone 7), what do you think? Let us know your views and expectations from the new flagship from Apple in the comment section below.